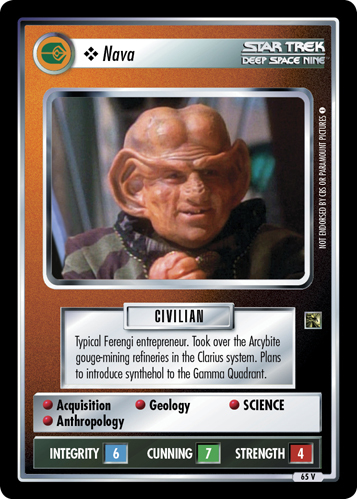 Typical Ferengi entrepreneur. Took over the Arcybite gouge-mining refineries in the Clarius system. Plans to introduce synthehol to the Gamma Quadrant.